We’re a place from the pages of history: A place that still lives free and wild. Big and big-hearted. Full of adventure and discovery. And more accessible than you think. The Northwest Territories is the last corner of North America to be tamed – home to the biggest and deepest lakes, the highest waterfalls, the fabled Northwest Passage, the forbidding Barrenlands, and so much more. The Northwest Territories is home to people with deep roots, diverse cultures, hearty handshakes and spellbinding stories. In our small towns, ancient ways still rule – and our cities burst with frontier spirit. 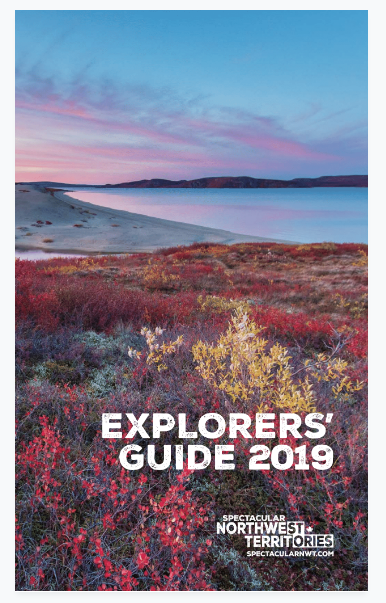 In the Northwest Territories, history is all around us – from the Ice Age-era muskoxen, to the traditions that have been followed since time immemorial, to the historic sites of Dene, Inuvialuit, fur-traders, bush pilots, miners and more. The Northwest Territories is the best place on Earth to witness the cavorting Aurora and the midnight sun. In summer, we’re downright toasty. In winter, the weather gets weird, with sundogs, moonbows, trees frosted in glitter, and roads made out of ice.